The Tesla is just another car. When you get down to it, it’s a manufactured to serve a utilitarian purpose. It gets you from Point A to Point B. All cars are designed to do this, and so is a Tesla. Like many prestige brands, Tesla speaks to certain people. 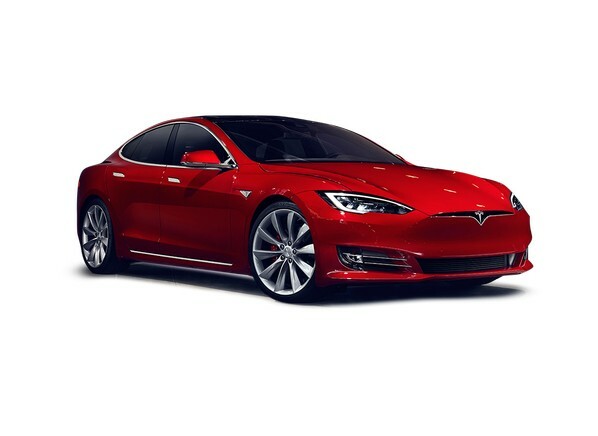 From the design enthusiast to the tech geek, Tesla touches a live wire that sparks electric excitement. To be sure, there are other plug-in electric vehicles and many of them are just as capable at the Point A to Point B thing. Heck you could even argue that competitor hybrids provide nearly as much eco savings with greater utility than the pricey Tesla offerings. While a damn fine vehicle, the Tesla is not the greatest car, not the most aesthetically pleasing vehicle, or even the most innovative one. It’s a top scorer in every category, but certainly not the final word in transportation. There have been better designs and there will be better cars. So, really, why are we all so excited about the Tesla? It is the marketing and positioning of Tesla offerings that creates this fizzy, popular buzz around the brand. Add to that the long, patient development of the Tesla in full public view that made it special. It was positioned as the next big hairy audacious thing in transportation. Strip away all the glitz and audacity, the Tesla has to start up every morning and transport you to work. It’s still just a car. So what did they do with this marketing currency? Well, they made a premium brand worth paying for. An estimated 400,000 people literally gave Tesla a $1,000 down payment (refundable) to be first in line to buy the next Tesla model the Tesla 3. There are car deals everywhere, but people wanted this car so much that they plunked down cash for the opportunity to buy a Tesla 3. Tesla didn’t do this by slashing prices or by running a relentless stream of interruption ads. They didn’t cheat on emissions tests or inflate performance numbers. So how did they create this unprecedented buzz for a car? Tesla made a car that a select audience wanted and marketed it to their customers. To be clear, they are not the only company that does this well. Many prestige automobile brands know how to do this, including niche enthusiast brands like Jeep, Lamborghini, and Shelby. Each auto brand serves a target audience and nurtures an enthusiast community. They are not all things to all people. They are not a watered down version of something else; they are what they are. Buy one or not, it’s fine by those brands. MacKenzie is a longtime automobile journalist writing the back page column for one of the most respected publications in the car biz. He’s suffered through a lot of automobile marketing hyperbole over the years. He’s correct: Tesla made a great product and let the product do the talking. That said, MacKenzie is not completely correct. The Tesla was marketed, except in a non-traditional, less hyperbolic way. The Tesla 3 was a marketing success story that marketing majors and thought leaders will reference and discuss for years. Many will try to replicate the strategy by executing the tactics. It won’t work with short-term campaigns. Business today is focused on the short-term goals that Tesla ignored. Few companies have the patience or discipline to manage long-term goals. Companies like Tesla, Google, Apple, and Amazon have demonstrated vision and the patience to execute long-term strategies, even in the face of extreme skepticism. Tesla is a rare brand that has managed to capture the hearts, minds, and wallets of people who might not otherwise be car enthusiasts. People are fascinated by the Tesla Motors brand, despite never having owned or driven one of their cars. People even know that Elon Musk is CEO of the Tesla Motor company, even though they only sell a small number of cars compared to major global manufacturers. Can you name the other CEOs at the Top 10 car manufacturers? Yeah, me neither. Too many brands and companies believe that declaring themselves “the leader in [pick a topic]…” will make it true. It’s this kind of exaggeration that makes people distrustful of marketing messages. As the Motor Trend journalist noted, Tesla reached a rarefied level of respect from a great product and patient marketing, not from breathless adjectives. Elon Musk has been marketing his personal brand for a long time. Tesla has been aligning itself as The House That Elon Built for a long time. Marketing like this requires a long runway and not a three-month campaign. Short, aggressive campaigns work for movies, but maybe not for cars and certain lifestyle brands. In the beginning of this post, I noted that the marketing of the Tesla reflects on us. While many people say they dislike marketing and advertising, generally they mean that they dislike lazy marketing and lame advertising placements. The Internet has changed the way we get information about brands, but many brands insists on exposure strategies from 1989. People will respond to good marketing. Good marketing connects us with brands and solutions that we want, need, and desire. Many brand enthusiasts welcome newsletters and content from their favorite brands. They evangelize great marketing and advertising, as they share their passion with their family and friends. Tesla has a great one-line story about electric vehicles, but it’s not the easy headline that wins for the brand. Tesla tells a great story about innovation. Not the kind of hollow innovation you read in LinkedIn profiles, but the real kind. Tesla’s innovation story starts with a question: “Why can’t we make an electric car that people want to buy?” The story unfolds as we see the lone, determined inventor toiling for years to make a better electric car. It’s a great story that we all want to believe, so Tesla made sure we got it. Is it true? Twenty years from now, we’ll read tell-all biographies that sort the truth from the fiction. Still, even now, it makes a hell of a story and it’s writing itself every day. Great marketing stokes a passion about a product. Tesla stokes that passion, even among people who’s never even driven a Tesla. This is an aspirational brand that doesn’t speak to everybody, but that’s the whole point. Tesla has an audience and markets to them with love and passion. In the end, that says a lot about Tesla, but it also says a lot about us. This entry was posted in advertising, content strategy, Marketing, Story and tagged advertising, content marketing, Marketing, storytelling, Tesla by Buddy_Scalera. Bookmark the permalink.